The global game is now so powerful that brands wanting to enhance their sales or reputations can ill afford not to be in the business of football, writes Pinnacle marketing director Harry Lang. I’m sorry, Bill Shankly, but you might have got a little carried away. Football isn’t a greater matter than life and death. It’s not in the same ballpark. One’s a kickabout that escalated uncontrollably; the other is the bookend of our earthly existence. That said, football is undeniably an incredibly big deal – an entertainment business powered by physical excellence and paid for by the intense passion and loyalty of billions of fans. Once the preserve of local chaps in long shorts in the Charles "Charlie" Charles mould, football had long ago been monetised beyond all expectations – meaning the beautiful game has become the bountiful game. The cash injection, in the most part funded through Sky’s TV broadcast deal, fuelled by advertising revenue, has made teenagers into millionaires and brandified everything. Now the business of deal-making has paused and the 2017/18 Premier League season has kicked off, we can reflect on yet more madness. From the best part of £200m for Neymar, to Modou Barrow’s transfer from Swansea to Reading at £1.5m (Accrington Stanley of top-flight deals…), the money pit has widened to a seemingly infinite chasm. Football’s Midas touch is everywhere, from the £5 Fox 40 Classic (the whistle of choice from the discerning referee) to Nike’s £95 Ordem 4 ball. According to Deloitte’s 2017 Annual Review of Football: "In 2015/16, Premier League revenues rose to a record £3.6bn. Each club generated more on average than the whole top division of 22 clubs did in total in 1991/92, and commercial revenues exceeded £1bn for the first time in the league’s history." That’s a lot of dough for any industry, let alone one controlled by a relatively exclusive owners’ club. As marketers, we have to shoulder at least some of the responsibility for the Frankenstein into which football has morphed. With all that money at stake, football needs to deliver value. Shirt deals, boot deals, approved-supplier status, digital-rights packages, social media tie-ins, branded merchandise – that’s just for starters. Now you can segment digital signage at matches, have it overlaid and sell advertising space bespoke to individual television markets globally. It’s having your cake and eating it. Then having some more cake. But the money keeps rolling in. The broadcast revenues are supplemented by ticket incomes. The Premier League’s research has produced a report on ticket prices that shows that "the average ticket price this season [2015/16] is £31". The billions are coming from the loyal core as well as from media deals. So who owes who? Is the marketing industry indebted to the business of football, or is the sport reliant on its marketing umbilical to keep it fed and watered? If we look at the relationship between marketing and football it seems, on the face of it at least, to be fairly equitable. Football provides the eyeballs; marketing provides the money. Dig down a little further and you will find a number of more granular benefits for each side. What does marketing get from football? • Exposure – the big one. According to Fifa, the 2014 World Cup in Brazil was watched by a cumulative audience of 3.2 billion people worldwide, with more than one billion tuning on for the final. That’s in excess of 40% of the world’s population. There simply is no other entertainment entity that comes close to these viewing figures on a regular, let alone, weekly basis, and brands that can share a stage at this level need big wallets just to get on the pitch. • Loyalty – football fans are a fiercely loyal tribe. Bring out a Stoke City-branded mortgage (yep, competitive rates are available from Leek United Building Society) and you’ll find a hungry and willing market of house-hunters. • Longevity – top-flight football isn’t going anywhere. Like London property prices, backing football with your brand marketing spend is a pretty safe long-term bet. It might be expensive but it’s not going to go bankrupt anytime soon. That said, football revenue reports in the lower leagues make for uncomfortable reading – the football business is definitely top heavy. • Emotion – it’s really hard to sell cars. 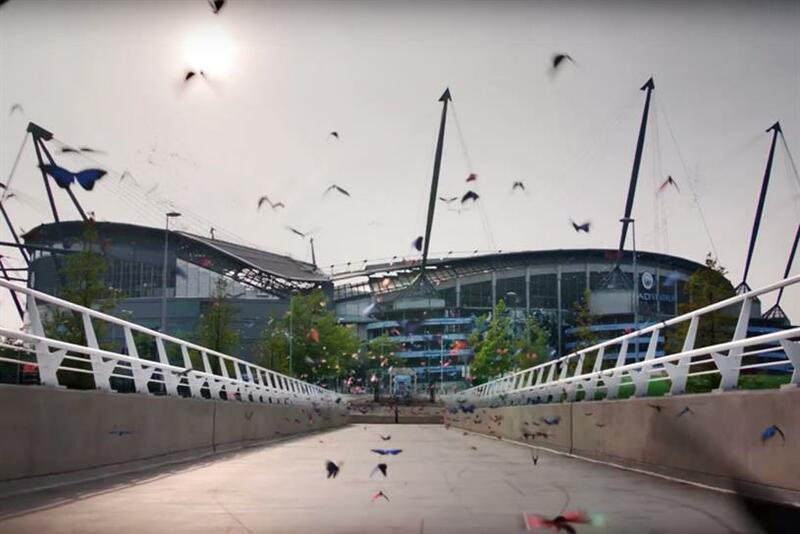 The auto industry’s ad campaigns are famously dour and anodyne affairs, so being able to tap into the weekly injection of raw emotion in football is a natural fit to bring brands to life. Vauxhall ended its long-standing relationship with the FA only last year; Germany’s national team is backed by Volkswagen. And if you switch across to beer brands, how many teeth-gritted fans in the throes of goal rapture have you seen in their ads over the years? Yep, it’s a few. • Clichés – marketing owes football for a number of their most-hackneyed scripts. Terms such as "a game of two halves", "back of the net", "score draw", "take a boo, son". Like it or not, they’re marketing staples. And on the flip side, what does football get from marketing? • Commercial stability – nothing with the words "billions of pounds" attached to it is going to last long without at least some robust structure in place. Marketing spends and long-term deals allow for forecasting, player scouting, tournament planning – even to the extent of planning windows for player surgery. Unfortunately, football clubs have a long and often farcical history of mismanagement, spending parachute payments like they’re Lotto wins and bunging backhanders like they’re Panini stickers. • Innovation – from in-play betting to mobile video streaming, video games to digital TV, the very technologies that promote football and broadcast it to a global audience exist at least in part as devices to stream advertising. • Mainstream credibility – it’s hard to remember when football was just a game, but it’s hard to imagine any other sport influencing the decisions of global brand behemoths such as Chevrolet ($559m with Man Utd) Coca-Cola, McDonald's, Adidas ($1.6bn with Real Madrid), Nike, Emirates and Aon. These giant corporations in turn legitimise the perceived value of football as a property and propagate future investment by rivals in their respective fields. • Money – really, this appears to be the diamond at the core of the relationship and, in this respect, marketing is the parent while football is the petulant child demanding ever-greater amounts of pocket money. Why are the numbers going up? Put simply, it’s a perfect storm of popularity and aggressive competition. Nothing touches football in the hearts and minds of such a broad, spend-happy global demographic and broadcasters are desperate to retain the rights to show games. According to an article in The Guardian last year, the Premier League TV deal went "beyond £8.3bn over three seasons. BT shelled out almost £1bn for the Champions League over the same period, while the FA has just brought in around £820m over six seasons for the international rights to the FA Cup alone". The article concluded that it was too soon to know whether football’s star was on the wane, but it was universally acknowledged that the younger generation ingests its media – including football – on multiple devices and channels, so the broadcast landscape is in disruption. Businesses use football as their public face, tapping into hearts and minds on a weekly basis before cross-selling fan’s loyalty into their own brands. It seems that, for the meantime at least, the marketing world and football are both equally reliant on each other. Harry Lang is marketing director online sports bookmaker Pinnacle.com.